Earn ~1% more by investing in Direct funds through Piggy Mobile App. Simple & transparent platform for Mutual Fund Investments. Protect your money from Inflation. Don't keep in Bank accounts and FD, move it to Mutual Funds and beat inflation. Funds from all Major AMCs in one app. Flexible SIP: More flexibility than Fixed Deposits. Use Debt funds instead and withdraw anytime. Best research to suggest you top funds. Design your own goal based investing. Save taxes, 80C exemption through mutual fund ELSS. With Piggy, you can invest in direct plans of all the mutual fund investment schemes offered in India. Direct plans are commission free and give you higher returns. Signup by downloading the app to get started. No more running to Banks or distributors. Let us handle all the complexities for you to give you premium experience. ■ Real Time details of over 650 Mutual Funds from over 35 AMCs available for investments in India. ■ Invest in Flexible SIP. Pause it, modify it anytime. ■ News, Opinion & Analysis - Major Mutual funds related news as they happen and get the latest reports from the financial industry’s top experts. 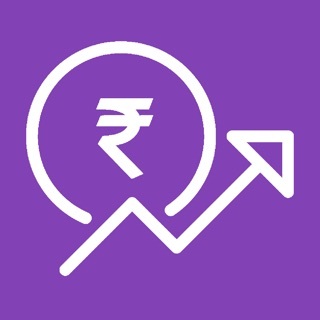 ■ Portfolio - Build your own customized portfolio as a personal tracker to monitor your investments with detailed analysis & graphs..
■ Redeem your investments and Funds gets automatically credited back to your Savings account. ■ Add existing funds using CAMS /KARVY statements and monitor/redeem here. More Features coming soon.... Goal Based Investing, better folios. No need for ETFs and Demat accounts for now! Access your Piggy Fund Investment Records through KARVY, CAMS, SUNDARAM and FRANKLIN TEMPLETON RTAs. Fully transparent. Coming soon: Mirae, CANARA ROBECCO, BNP Paribas. And more… See complete list in the app. ■ Sign up easily on the app with your PAN card and Aadhar card. ■ See all the details of Mutual Funds and do your research in the app. ■ Performance of Funds compared to benchmarks such as Sensex, nifty and other indices available. ■ Invest in both growth and dividend plans of mutual funds at the click of a button. SIP is the good EMI. Trust wealth with Piggy. Improved Dashboard Layout with options like Adding Existing Investments, searching through top performing funds etc.